WITBANK, SOUTH AFRICA — The Zambian Army has finally deployed 750 troops to the United Nations peacekeeping mission in the Central African Republic (CAR) after an eight-month delay blamed on the lack of airlift capacity, predeployment training and suitable military equipment. The deployment, which was initially scheduled for November, last year, also struggled failed to take place on time because the troops were ill-trained for the CAR mission where Christian- and Muslim-aligned militias are still fighting each other despite the presence of a large UN peacekeeping force. Addressing the troops on the eve of their departure from the Arakan Army base in the capital of Lusaka, Deputy Zambian Defense Minister Christopher Mulenga said the deployment was not going to be possible without support from the United States, which provided predeployment training, military and logistical equipment for the troops. Mulenga implored the troops to be professional and disciplined in their conduct of their mandate in order to avoid soiling the country's name and clean peacekeeping record with the UN. "As peacekeepers sent from Zambia, you are expected to keep and observe your terms of reference and please do not for any reason get entangled in the politics of the host nation. While paying tribute to you, our gallant men and women in uniform for ably representing Zambia, I will be failing in my duties if I don't remind you of the need to be morally upright bearing in mind the families you are leaving behind," Mulenga said. Zambian Army Commander Gen. Paul Mihova also attended the send-off ceremony. He hailed the US for providing the equipment and training, saying he is satisfied that his troops will be able to measure up to the complex situation in the CAR where resurgent fighting between militias remains a problem. The troops are drawn from the Army, the Zambian National Service (ZNS) and Zambian Air Force. (ZAF). The contingent includes 50 special forces commandos to beef up its troop protection capabilities. 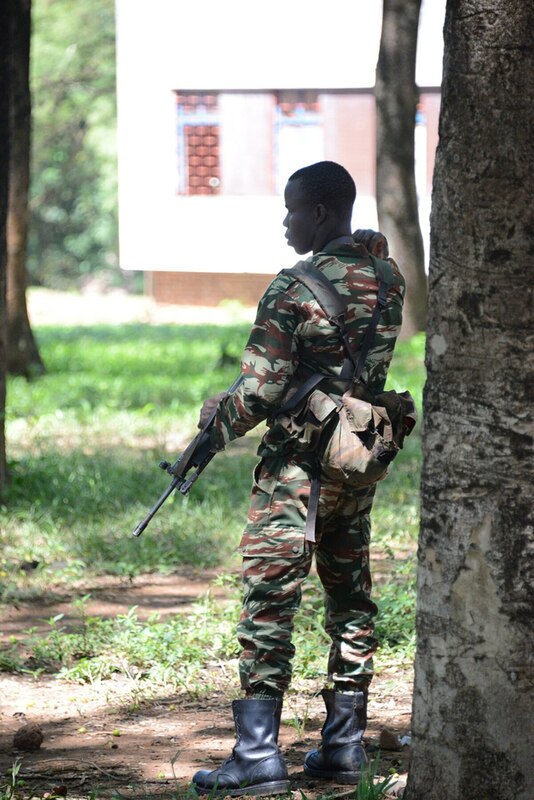 Zambia's last UN peacekeeping operation in Sierra Leone ended in deep embarrassment when several troops were captured and held hostage for days by one of the many rebel forces which were active in that country's civil war.